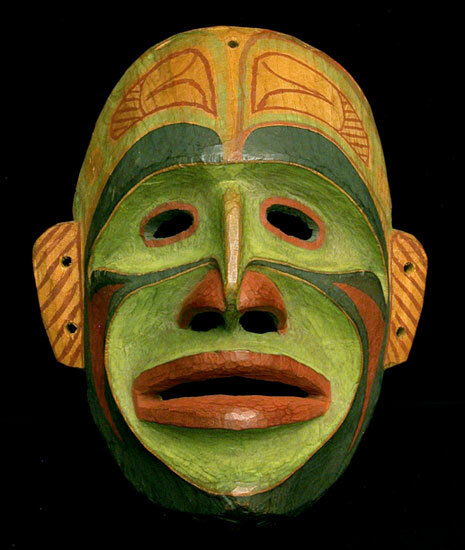 A Northwest Coast Bella Bella (Heiltsuk) Tribe, 'Bukwus' (The Wild Man of the Woods) Ceremonial Mask. Last half of the 19th Century. Provenance: Collected in Victoria, B.C. during the 1950s for a Canadian Private Collection.